Claire is an undergraduate student in the natural resources school at Utah State University pursuing an Interdisciplinary Studies degree in “Ecologically Based Community Development” which is rooted in the principles of permaculture. She has been interested in permaculture since being introduced to the concept in 2012 through Community Rebuilds and became certified in Permaculture in 2013. Since then, she’s been applying the concepts through her work as an intern in Extension Sustainability by organizing events that bring the community together to create rainwater harvesting pollinator gardens as well as workshops on other topics such as soil health, pollinator habitat, and garden tours. 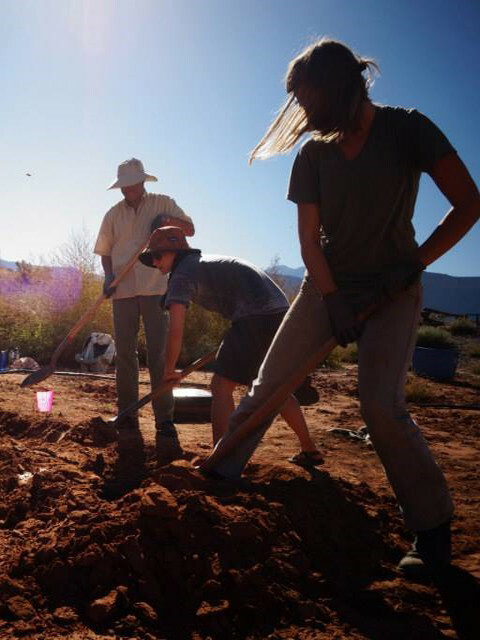 She’s currently working on researching sustainability programs at extension offices around the country as well as helping create a new community garden space called The CommuniTea Garden in downtown Moab.